Northumberland Mam: I'm joining in with #blogtober17 are you? 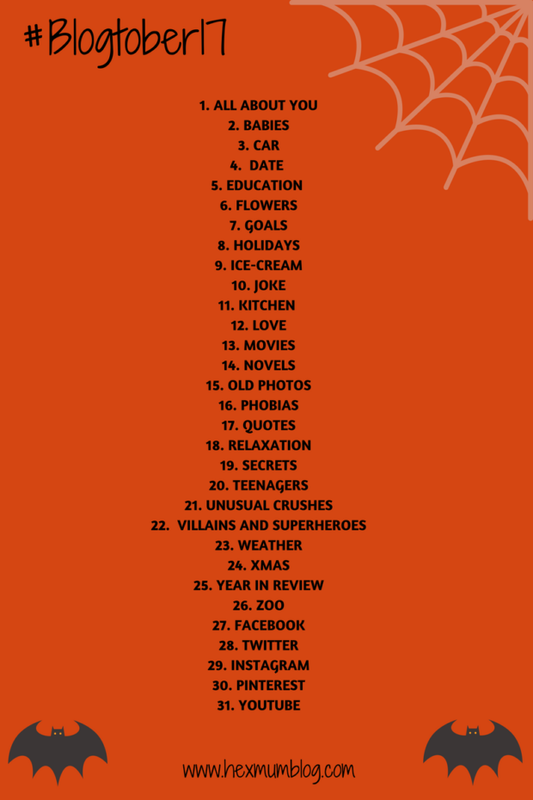 If you haven't heard of Blogtober before the way things work is there is 31 prompts....One for each day in October. That means a new blog post every day if you want....You can link up old blog posts if you want to though! I will still be posting my normal blog posts which I do every week like Meal planning Monday, Word of the Week and My Sunday Photo and anything important which crops up so there might be a few days per week where you are seeing two blog posts a day from me.....Eek! You can read all about Blogtober17 on Mandi's blog. Haha we're like blog post twins lol. I am going to try and tweak my usual posts to fit in but like you some days there will be two blog posts. Good luck and can't wait to see everyone's posts. Good luck! I'd never thought of doing this, but seeing the prompts, I'm kind of tempted! I know I would end up doing two posts a day sometimes too! Yay so glad you're joining in again, see you tomorrow! I like the idea of this but for some of the prompts there is literally nothing I could write! It's a cool idea though. Id love to join this but I'm already 2 days behind.